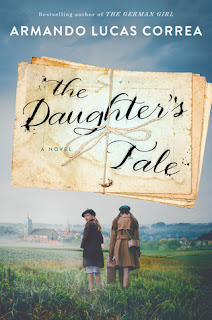 This blog gives you book reviews and announces new books to be released in my favorite genres, both historical and contemporary fiction. So get comfortable, have a cup of coffee/tea (or your favorite brew) and read all about it! Yaakov is a father, a widower and a Talmudic scholar. As a widower with his wife now gone for a year, he alone is responsible for his five children. He alone has a home to put in order, children to raise and overwhelming challenges, both financial and spiritual. How will he go forward, how will he provide for his family? This book was an amazing read, in that I learned so much more about my own religion. While I am a "secular" Jew, there is a great difference between how I look at Judaism as opposed to how the Orthodox view it. 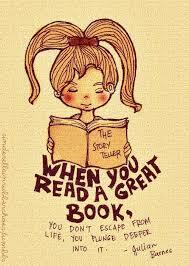 Reading the novel, it does provide "food for thought" (kosher no doubt). How they resolve their different points of view and blend with each other has made this an interesting story. It's 1933 when we come upon Julius and Amanda Sternberg. Before long there will be a 3rd Sternberg and then a 4th, as the couple become parents to two little girls. But times are starting to become threatening to the Jews....for the Sternbergs their family bookshop is burnt down. From that point forward, making their lives more difficult, daily. Then Julius is sent to a concentration camp, synagogues are set on fire. National Socialists are taking over, but where can Amanda and her children escape to? For that matter, where can any Jew escape to? 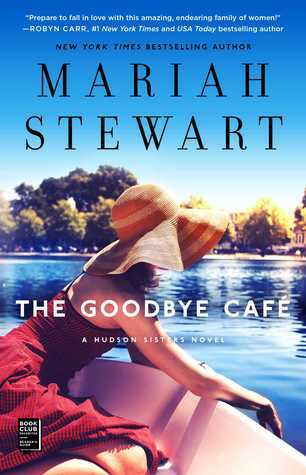 Amanda sends her oldest daughter on a ship that will take her to Cuba, but her youngest child stays with her as they go to France. What will happen when Germany invades France, what will become of them? As difficult as it is to read not only this story but the many stories of WWII and its savageness, it is important never to forget. It is important to remember how, even in times such as these, the human spirit takes over. Whether it be a mother's sacrifice, a stranger's sacrifice to save a life...whoever steps in to make that sacrifice! This story is poignant and deeply emotional. You read this book and think, "How would I handle the choice if I was in that situation? Would I be strong enough?" When not given a choice, deep down you know the answer. This book offers raw emotions, guilt, betrayal and sacrifice...deeply moving, hauntingly so. My thanks to NetGalley for this ARC in exchange for an honest review. 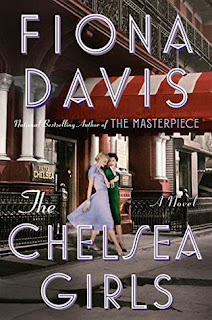 It is the 1950's and the Chelsea Hotel is the setting for this novel. Two of its residents, Hazel Riley, a playwright and Maxine Mead an actress are the main protagonists in this McCarthy era story. Both women, having met near the end of WWII when they joined the USO tour in Naples, Italy. Now, Hazel has written a play about their experience during wartime...directing said play with Maxine in the lead part. With Hazel having a falling out with her family and Maxine having a rift with her married boyfriend, both wind up living at the Chelsea. The hotel houses many creative people, and as such these talents are being suspected of having "communist" affiliations and are under the microscope of McCarthy and his ilk. This is a time in our country's history when many of the famous "Hollywood" type had their careers ruined. Known as the "Red scare" those that were targeted were asked to inform on others...would either Hazel or Maxine fall into that category? Wonderfully written and hard to put down, this book gives us a glimpse into the McCarthy years.As the story unfolds, we also take a peak into the world of theater, New York City in the 50's as well as its glamour and "swank". A look into the past, one that was not the brightest time in our country's history, well told filled with drama, friendship and the strength and steadfastness of these friendships. My thanks to NetGalley for this ARC in exchange for an honest review. Annie Clements is known, in history, as "America's Joan of Arc" and rightly so. We meet Annie in 1913 in Calumet, Michigan where the world's largest copper mine is located. 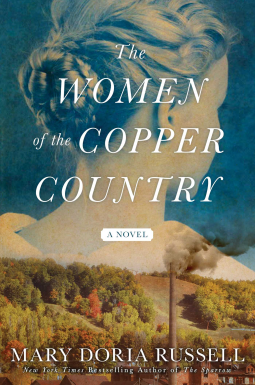 A very tall women, towering over many of the men, she looks fierce, but Annie has a kind heart, difficult in a company town where so many miners are killed. With funeral(s) taking place most every week, with the men wishy-washy about joining a union, it was up to the women to take over the reins. Women, who scrub, keep house, cook and wait for their men at the end of a 12 hour day, never knowing if they will be coming home. All this for meager pay, long hours and a sense of doom that fill their households. Finally, it is Annie who stands up, for herself, for the community. Gathering the women together, Annie Clements starts a rebellion and leads a strike against the company. As a fan of historical fiction, this, for me, was a must read. I never expected to find such a provocative, well written story. Annie's strength, her courage to face a company bigger than she was is remarkable but at what cost? How did her husband feel, did he stand behind her, support her and the rebellion? Will Annie reap the rewards from the justice she is seeking? It was women like Annie Clements who fought the good fight, who were at the forefront of the labor movement, making it possible for workers to have better hours, pay and health benefit. For those of you who aren't familiar with this part of our history, this book, strong and masterful in its telling, will fill you in. I have never read Ms. Russell's books before, but I will be looking for her novels now. My thanks to NetGalley and Atria Books for this ARC in exchange for an honest review. Drue Campbell, 36 years old and down on her luck. With her mother just dying, she is barely recovering from a kite boarding accident and has no job. 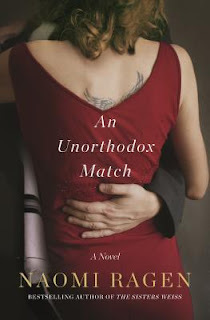 When her estranged father, Brice Campbell, shows up at her mother's funeral, Drue has no choice but to accept his offer of a job at his law firm. Packing up what little she has, she crosses over to St. Petersburg. Surprised, she finds her 68 year old father married to Wendy, a girl she once knew (and disliked) from 8th grade... It seems as if nothing has changed in that regard. That was one surprise, the other was that she inherited a small dilapidated beach cottage on Sunset Beach that once belonged to her grandparents. Her life is far from perfect, working with her father's wife, Wendy, a frenemy, a cottage to repair and a job from hell...the background is set. While investigating a leak from the cottage roof, Drue goes up to the attic to investigate and comes upon an interesting find in a box with her mother's name on it...newspaper clippings about a case involving a missing woman from 1976. Along with that, there was a three inch binder with police reports and old black and white photographs. What was that doing in her grandparents attic? As if that was not enough to pique Drue's interest, there is another more recent case that she also gets involved with...a little girl whose mother was strangled and is being raised by her grandmother. But something didn't sit right with Drue in either case. 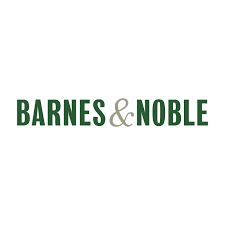 With two mysteries to solve, along with a hated stepmother, family contention, the dangers involved with these two cases and not knowing who she could trust, this is a novel that is difficult to put down. I really was tickled as I read the descriptions of Florida, especially where I live...spot-on with palm trees, beaches, dive bars, et al. There is nothing like watching the sunset over the water, or the beautiful pink and purple sky outlining the palm trees. Just don't ask me how I feel about hurricane season! 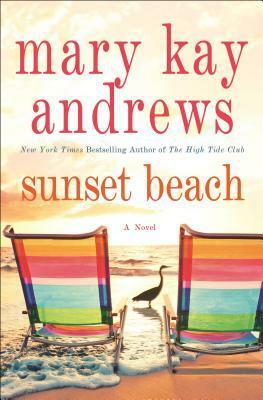 Mary Kay Andrews never disappointments, her novels are the best and this one keeps you glued till the end. Ms. Andrews is a consummate author, her writing and novels are quite entertaining. Highly recommended. Set in 1914 when the world is readying for WW1, we follow along with Eliza Ferriday, Sofya Streshnayva and Varinka Kazlov. Eliza is a New York society woman living in Manhattan and Southhampton, Sofya an aristocrat and cousin of the Romanovs and Varinka a poor woman whose family is connected with the Bolsheviks. There is turmoil all around, not only with war imminent, but there is danger in Russia as well as with more local uprisings, more killings by the Cossacks. Yet with all that surrounds the terrible times in Russia and the advent of war, Sofya as well as her country men are not too concerned. It is during Eliza's visit to St. Petersburg, that war is declared. Returning to America, Eliza is left upset and worried for her friend. This novel gives us 3 different women, yet they all have strength with so much in common.... it offers compassion and strong women and is compelling in its tale. Taking us back in history, we see the times through the eyes of these characters. We are able to connect with each one of them, the socialite, the aristocrat, and the poor peasant struggling to survive. They are all, in their own way, wondering what the future holds for them. 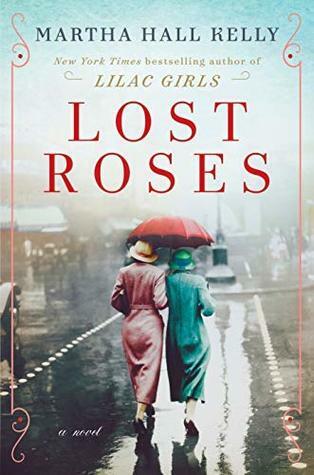 Three women whose voices ring loud and clear , sharing their war time experiences, and how they will be ultimately reunited, makes this a novel you will not want to put down. 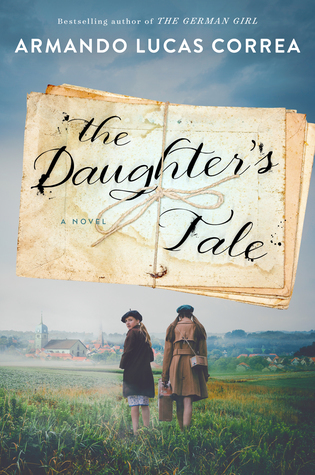 Exquisitely told, wonderfully researched, this novel is not one to miss. I will confess I hadn't read "Lilac Girls," and while this is a standalone novel, I most definitely will be reading the first book. My thanks to NetGalley and Random House for this ARC in exchange for an honest review. In the continuing story of the Hudson Sisters, this is the third in the series. I read this books as a standalone as I haven't read the first two, but this wasn't a problem. Allison Hudson Monroe (Allie) returns to Hidden Falls, Pennsylvania from California with a heavy weight of problems resting on her shoulders...divorce, sharing custody of her daughter, Nikki, with her ex-husband, and trying to understand what makes a teenager tick! But Allie has to keep herself in check as well...she has an abrasive personality, which she understands needs toning down. Now she is helping her Aunt Barney restore the local movie theater, painting the damaged ceiling to match its once beautiful artwork. With her aunt now buying the popular restaurant in town, The Green Brier Cafe, but locally known as the Goodbye Cafe, Allie and her family have a lot to contend with, but for Allie it is only for the summer as she and Nikki will be returning to California. With the promise of an inheritance in exchange for living in Hidden Falls and restoring the Sugarhouse theater, Allie is eagerly looking forward to returning to California with "cash in hand." This is a book with the heartwarming story of "small-town USA" and its one of the best. The family and their friends and neighbors make this a charming read. For myself, having grown up in New York City, this is what I would envision a mall town to be. This is my first book written by Ms. Stewart, but it won't be my last as I intend to read the other two books as well and follow the series.